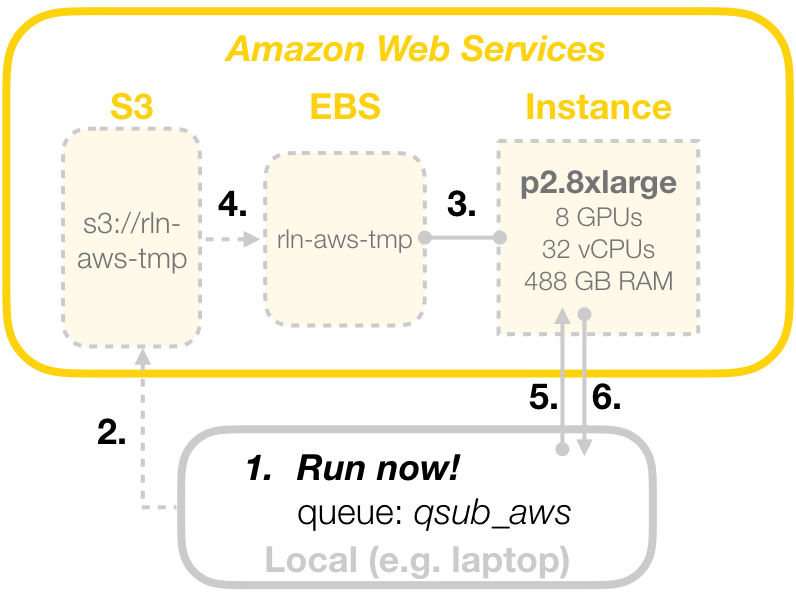 We have integrated AWS into Relion-2.0, which means that users interact with Relion-2.0 locally. 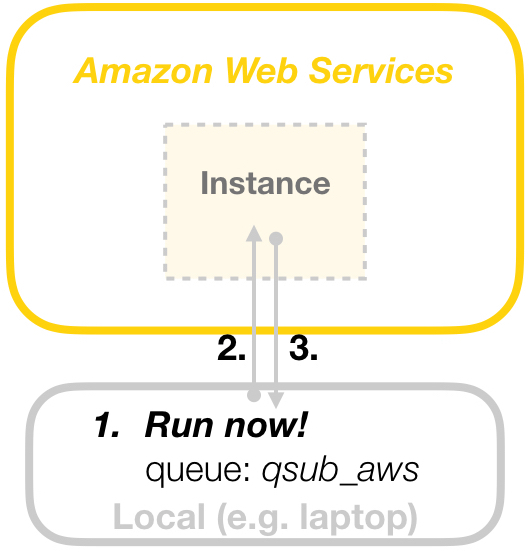 This makes particle picking and other GUI-based tasks latency-free. When job finishes, instance will be automatically terminated. Only requires users to understand Relion-2.0 workflow. 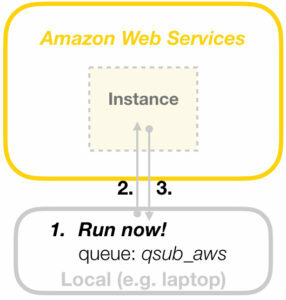 All AWS commands are integrated without user interaction. 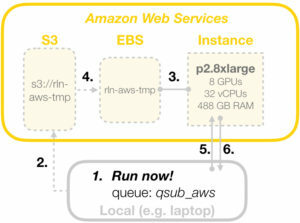 Data are left on S3 and EBS volumes for user-defined periods of time (typically 2 - 3 weeks). This minimizes transfer time, allowing users to immediately start new analyses without waiting for files to upload (again).